Next on The Scoop: What Cats Are Lap Cats? Years ago, at a job I’ve mostly forgotten, our boss had us all take the MBTI (Myers-Briggs Type Indicator) personality profile. While I’m not always a fan of labeling or pigeonholing people, this test changed my life. It helped me understand myself and the people I worked with. It got me to thinking — how do we figure out cat personality types? 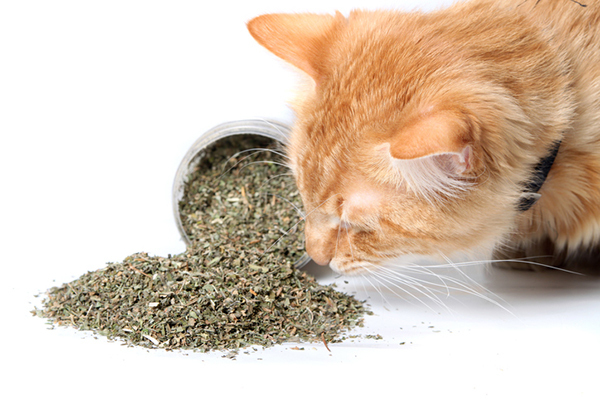 Maybe it can help us understand our cats better! It may be that the science behind this is completely ridiculous and doesn’t apply to cats at all, but it’s fun to imagine what your cat’s personality type could be. Use this simple assessment for your cat, and you may end up understanding her better, yourself better and your interactions better! 1. 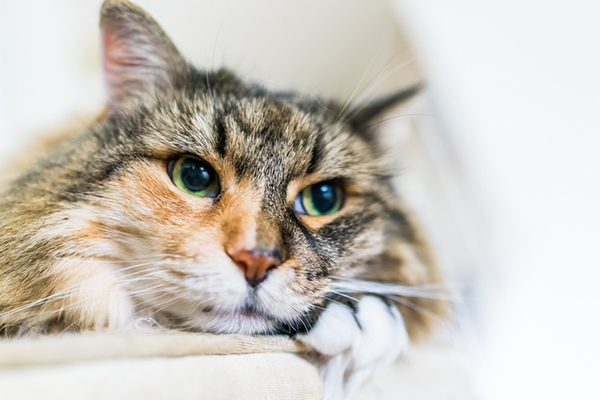 Is your cat an introvert or an extrovert? 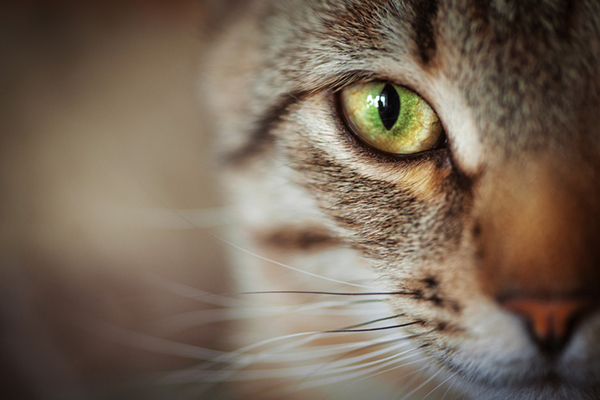 When it comes to cat personality type, is your kitty an introvert or an extrovert? Photography by fotostok_pdv/Thinkstock. Does your cat love to be the life of the party? Or does she prefer her alone time? More importantly, what seems to give her more energy, being alone or spending time with other cats, pets, or her people? Does she talk incessantly or is she quiet, with a tiny or nonexistent voice? Does she practice the silent meow (one of the cutest cat things I’ve ever seen)? 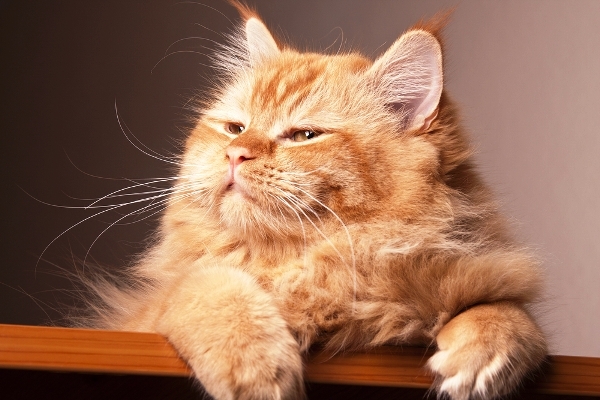 Is your cat a thinker or a feeler? Photography by krblokhin/Thinkstock. This one may be harder to transpose to our feline friends, but I’ll try. In the MBTI world, a thinker is a logical decision maker. The feeler makes decisions based more on feelings, others’ feelings or harmoniousness. If you have a cat who loves to see everyone get along (other household cats, pets, people, etc.) then your cat may be a feeler. On the other hand, when instinct takes over, there’s no time for feelings! I don’t imagine that a cat stops to consider the mouse’s feelings before the cat pounces. Still, watch your cat closely. I have a friend with a very logical, methodical kind of black cat. I think of him as the “manager” of her household. He knows if the kids are late for the school bus; he places himself where he can watch all the goings-on in the house. This seems like a thinker cat (more so than a feeler cat). 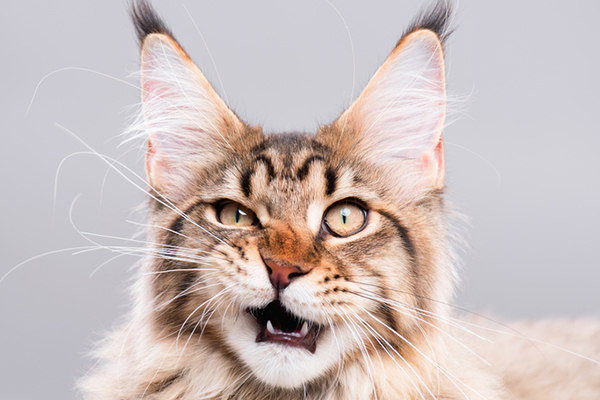 What about your cat’s sense of intuition? Photography ©s_derevianko | Thinkstock. Do you make decisions based on that indescribable intuition? Or do you need details, facts and the five senses to arrive at conclusions? And what about your cat? Personally, I think cats can ride both sides of this spectrum. Absolutely, their behaviors are led by their acute senses. Just watch them alertly spotting something in the yard that you can’t see. Or jumping and smashing a bug in a nanosecond. Yet, how do you explain when your cat knows you’re sad and comes to comfort you? Or when your cat knows you’re reaching for a can of cat food, even before you’ve moved to the cupboard? Is this intuition or extremely honed senses that we don’t even understand? Who can say? 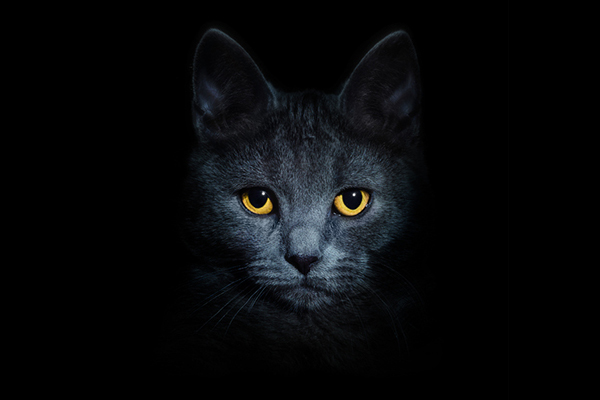 Is your cat’s personality type more judger or perceiver? Photography by Murika/Thinkstock. 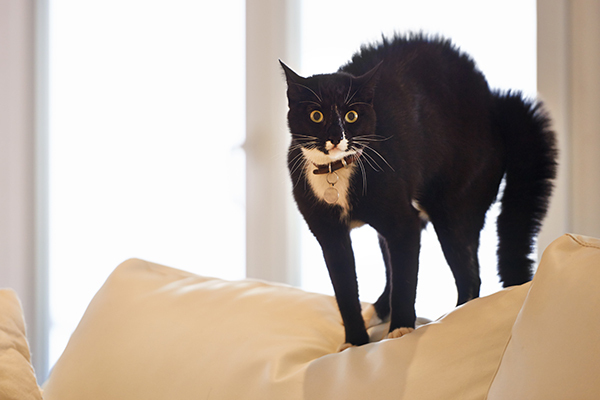 Does your cat complete a task one step at a time, or is she all over the place, easily distracted and a multitasker? Does she make decisions easily, or waffle? When I first took this test, my “P” (perceiving) was almost off the charts, meaning that I’m very spontaneous and can have a hard time focusing or making a decision. I have learned to take things one step at a time, but it definitely takes some effort. Observe your cat — what’s her M.O. when it comes to getting things done? 5. Putting it all together! Put all your answers together to figure out cat personality type! Photography by darkbird77/Thinkstock. Now that you’ve figured out where your cat (or you) fall on each spectrum, put the letters together. You’ll have your personality type; one of 16 possible combinations. For example, I am an INFP (introverted-intuitive-feeling-perceiving). I can hardly do the MBTI justice, but I think it’s a fascinating way to understand people, and possibly, our cats. Learn more about it here. 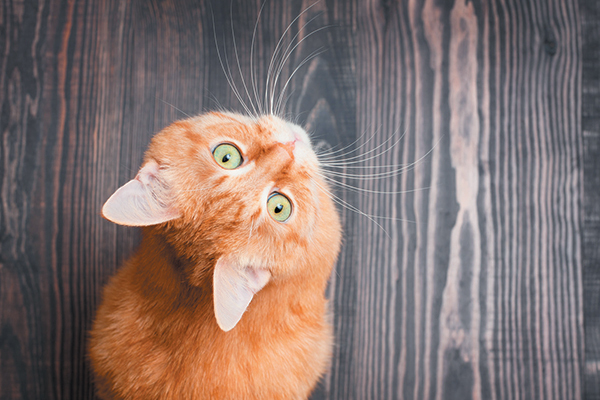 Tell us: What cat personality does your kitty have? What are you? What else do you think plays into cat personality types? How do you get along with your cat? Share your stories in comments! Do Tortoiseshell Cats Really have “Tortitude”? My cat is active, mean, cute, sometimes cuttlie, vicious when he bites, he is a rescue, when we found him he was burned, about 4 weeks old, very fluffy, and his name is Zuess. I think he came from the Devil himself! Lol! But he is still my baby and I am eleven years old my ”cat” is a golden tabie and I love him to bits, but I have a question, why does he attack so very often for instance you walk four feet away from him minding your own business and he attacks you? But then the next minute your loving on him for a sweet little moment and BOOM he bites you and wants you to feed him, what do I do with this kitten?